It was every parent’s nightmare — one with a horribly tragic ending. In Bedford County, Derek and Nancy Haysom raised their beautiful and talented daughter, Elizabeth. And after earning top honors in high school, Elizabeth went on to enter the prestigious Echols Scholar program at the University of Virginia. During her first year at UVa in 1984, Elizabeth met Jens Soering, a young man from Germany who was attending UVa while his father served as a German diplomat in Detroit. Despite being described by other students as unbalanced and hot-tempered, Soering and Elizabeth began a relationship that soon had Elizabeth’s parents very worried. But then the parent’s nightmare became a family and community tragedy. “Freaked out” by the Haysoms’ objections to his relationship with their daughter, Soering went to their house on April 3, 1985 — and butchered them. According to police reports, he used a seven-inch knife to stab Mr. Haysom 37 times and Mrs. Haysom six times. His attack was so brutal that he nearly decapitated the couple. When Soering’s alibi unraveled, he and Elizabeth fled the United States, where he would have stayed — unpunished for his horrific crime — were it not for the cooperative efforts of Virginia and English law-enforcement officials. After an arrest in London for check fraud, Soering was soon identified as the fugitive in the gruesome Haysom murders. Virginia officials flew to England to question him and, satisfied that he was their man, sought to have Soering returned to Virginia to stand trial for his crimes. 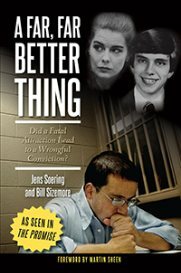 Soering tried everything he could to evade justice. He told a Scotland Yard official that he feared a trial in Virginia would lead to the electric chair because, as he admitted, “You know I killed two people.” He mobilized European officials to oppose his extradition to Virginia because he might face the death penalty here, forcing the U.S., as a condition of winning his return, to agree that Soering would not be put to death for his crimes. Despite all the evidence and Elizabeth Haysom’s guilty plea as an accessory to the murder of her parents, Soering still had the audacity to stand in front of a Bedford County judge and claim he wasn’t guilty. Fortunately, the jury saw through Soering’s lies and took less than four hours to find him guilty and recommend that he be sentenced to two life terms in prison. Not yet done, Soering spent the next 15 years taking advantage of every step in Virginia’s judicial system and wasting countless taxpayer dollars. He appealed his conviction to the Virginia Supreme Court. He then appealed to a federal judge. He brought his case to the Fourth Circuit Court of Appeals. And he petitioned the Campbell County Circuit Judge. All of these delay tactics were denied, after which he sought and was denied parole time and time again. But the tragedy of this story sadly doesn’t end there. On his last full day as Virginia governor, Tim Kaine quietly asked the U.S. Department of Justice to allow Soering to return to his native Germany — where he might serve as few as two years in prison. That’s right. Despite being convicted of savagely murdering the Haysoms, and after wasting time and money with numerous delay tactics, Soering was about to get his wish and avoid the punishment he’d been given for his heinous crime. 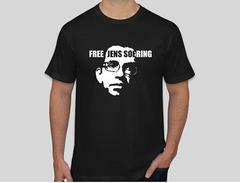 Instead of sitting on death row or living out his remaining years in a cell from which there is no escape, Soering would be able to sit in Germany, free and clear. All because of one man — Tim Kaine. Fortunately, Gov. Bob McDonnell took swift action to keep this travesty of justice from occurring. Just three days after succeeding Kaine, McDonnell rescinded Kaine’s request and told the Department of Justice Soering would be staying where he was — in prison. Why would Kaine let a convicted double-murderer avoid serving two life sentences for the murders he committed? That’s what a lot of Virginia residents and lawmakers have been asking. Kaine’s reply reveals two very important things: First, it reveals that Kaine knew the people of Virginia would oppose Soering’s release. And, second, it reveals that he didn’t care all that much because he didn’t plan on ever asking Virginians for their vote again. But now he is. And he’s hoping we’ll forget what he did. As a retired federal agent and a current Virginia law-enforcement officer, I can’t forget what Kaine tried to do. Like my fellow men and women in law enforcement, I took an oath to protect the citizens of Virginia from harm — including the evil that Soering brought into the Haysoms’ home that night in 1985. I take that oath more seriously, it seems, than Kaine did. And that’s why I am proud to strongly support George Allen to serve as Virginia’s next U.S. senator. Unlike Kaine, George Allen recognizes that protecting Virginia families is a core responsibility of anyone who wishes to represent them in office. It is something that must inform every decision they make — not just if they’re planning to run for elected office. That’s why Allen led the successful push to abolish parole in Virginia when he was governor. It’s why he has made fighting and punishing crime a top priority. And it’s why he has the support of over a hundred law-enforcement officials throughout the commonwealth. When Kaine tried to let Soering, a vicious criminal, return to Germany to serve two years — not two life sentences — he showed us that he does not take our justice system seriously and he’s the wrong man to represent Virginia in the U.S. Senate. Let’s keep that in mind this November. Brown, a supporter of Republican U.S. Senate candidate George Allen, is sheriff of Bedford County.